YAY you guys! We’re so excited to welcome back the beautiful Teri from The Lovely Drawer today, we are huge fans of her blog and are pleased to let you know that she’s designed these awesome fruity printables just for you! If you’re looking for something a little different to the usual guestbook or postcards for your guest’s to write their well wishes on, then look no further. These fruity cards are a ton more colourful and fun for your guests to grab and get sentimental and gushy with. Style them up in a fruit bowl for a summer wedding or leave some pegs out for your guest’s to hang up and create a statement fruit wall at the reception! And the best thing is, they’re free! 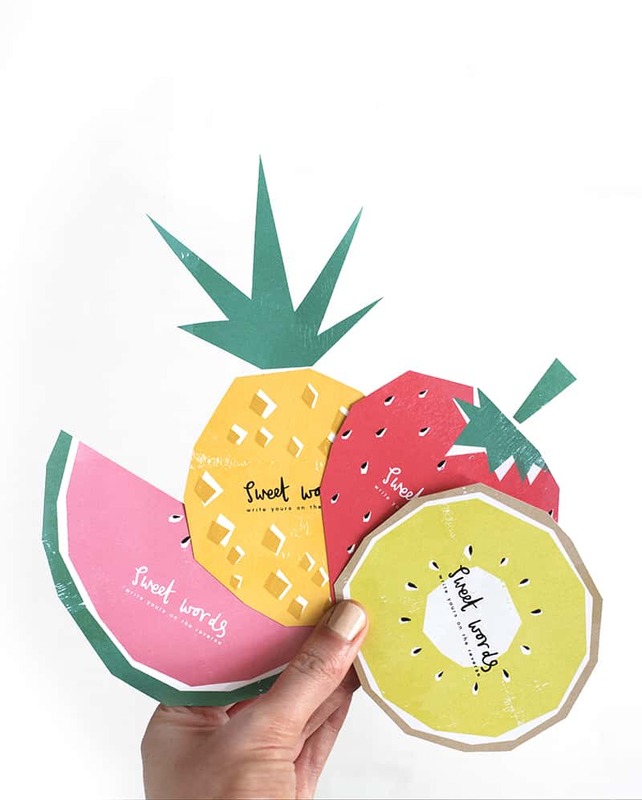 You can download these free printable fruit notelets here and then print onto card, cut out and you’re good to go. Each card instructs guest’s to write their message on the reverse. It couldn’t be much simpler so download them now and tick one thing off your wedding prep list right away!